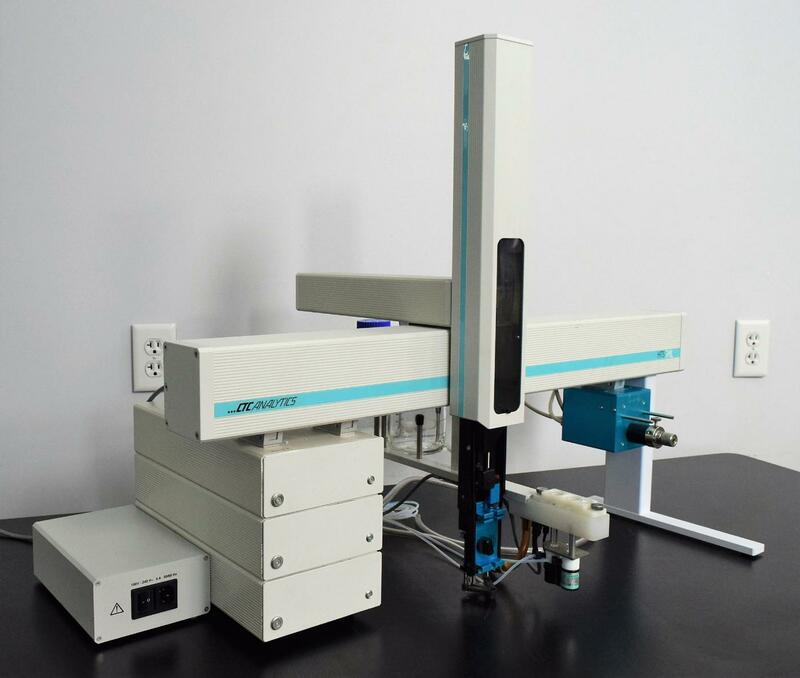 CTC Analytics HTS PAL Chromatography Autosampler Injector Valve Fast Wash . New Life Scientific, Inc. This automated system is a time saver for a busy lab. The HTC PAL will automatically open a stack drawer, and draw out the sample from the microplate and injects it directly into the fast switching valve. The HTC PAL will need a pendant and the cable for it, these are available from a number of suppliers. - Excellent Cosmetic Condition with normal wear. Our in-house technician inspected and tested this CTC Analytics HTS PAL Autosampler, confirming it to be in good working condition. Technician tested the autosampler with a borrowed pendant from another PAL system. The firmware was updated to current version and installed the Stack, Valve Drive and Wash Station. The unit was taught the location of the installed devices and functioned properly. The object loader is available on-line or upon request from New Life Scientific. The buyer will need to acquire a pendant and cables.